Working through our third sector Councils – C3SC and GVS – we seek to help people volunteer in their local communities across a wide range of service opportunities. Our third sector Councils can also help organisations who may be looking to recruit volunteers. Attend one of C3SC’s drop-in sessions every Tuesday from 1-4pm at Central Library Hub, Cardiff on the second floor. Call C3SC on (029) 2048 5722, or send the team an email where they will be happy to help. 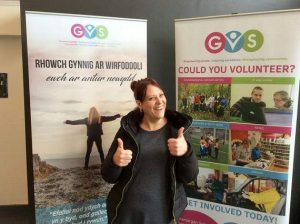 Ring GVS for a friendly chat on (01446) 741706, or call into one of their outreach venues. Call into GVS’s office based at the Enterprise Centre, Skomer Road, Barry, CF62 9DA.